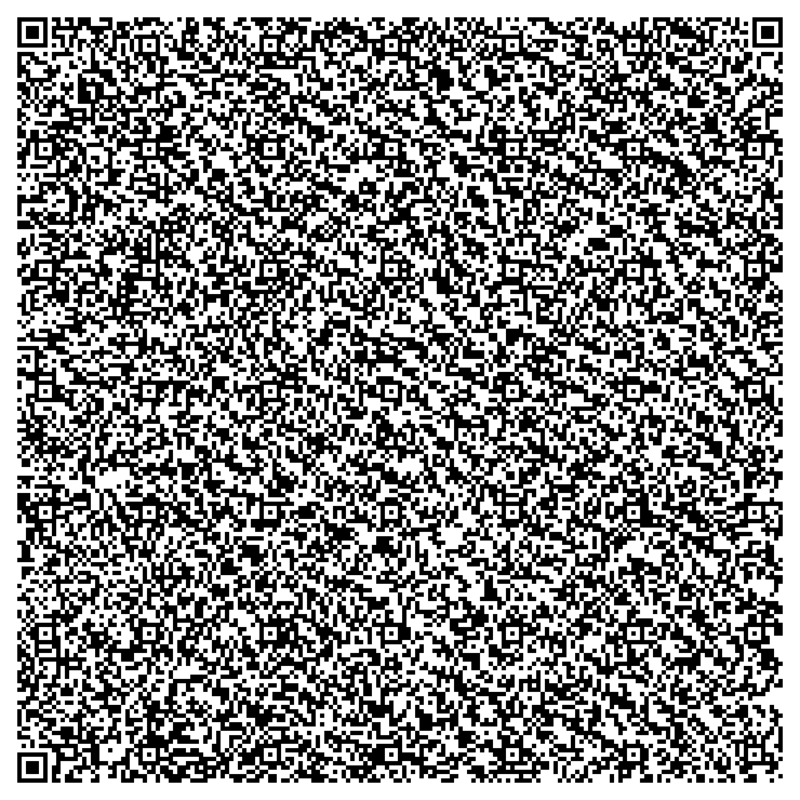 I normally use QR codes to communicate small amounts of information: URLs or phone numbers, typically. But I discovered today that the spec allows them to be really quite large. 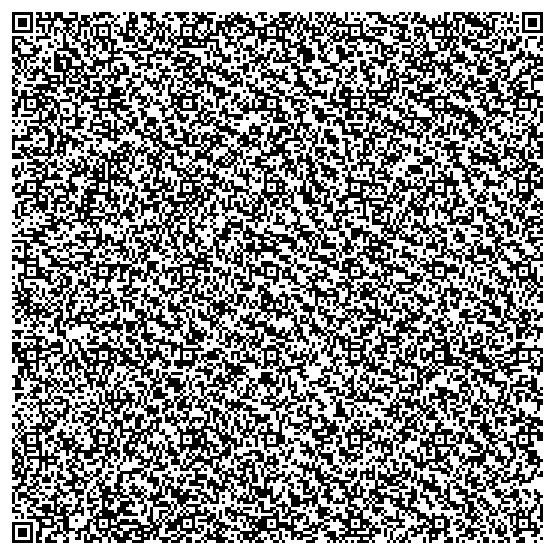 This is the biggest I could manage, and I have successfully scanned this from the screen using Optiscan on my iPhone 3GS, but I had to hold the phone very still and make sure the code filled the image. It defeated the other two apps I have – QR App and QuickMark. But at this scale the resolution of the camera starts to be significant – you don’t get very many pixels per block – so the same apps might work on an iPhone 4. I tried with it on my MacBook Pro, with screen brightness set on high, but the Google app (which is quite a nice QR code reader) failed despite repeated attempts on this one. The app “Scan” on iPad 2 failed. Just tried QR Reader from TapMedia on the Iphone4. It detects Codes by itself from the Camera feed, that didn’t work. The Option to take a Picture from within the Software and let it discover Codes within worked without problems. Maybe the stills camera route works with a 3G/3GS too?